The first Scarborough workhouse, dating from 1728, was in Waterhouse Lane at the north side of Newborough Street. A parliamentary report of 1777, listing all the parish workhouses operating in England, makes no mention of Scarborough. However, by the 1780s, the town's workhouse was described as "a substantial brick building capable of holding 150 persons". In 1784, the Scarborough Vestry tried, unsuccessfully, to introduce a policy of providing poor relief only through the workhouse. The workhouse rules were strict with the sexes segregated and profanity, indecency and drunkenness being punished. However, old men "that are past work" were allowed out for the afternoon on Tuesdays and Fridays, and all inmates on Saturday from 4 until 6. Paupers also sold surplus bread to illegally buy snuff and tea. The population falling within the Union at the 1831 census had been 17,920 with parishes ranging in size from Willerby (population 38) to Scarborough itself (8,369). The average annual poor-rate expenditure for the period 1834-36 had been £5,444 or 6s.1d. per head of the population. 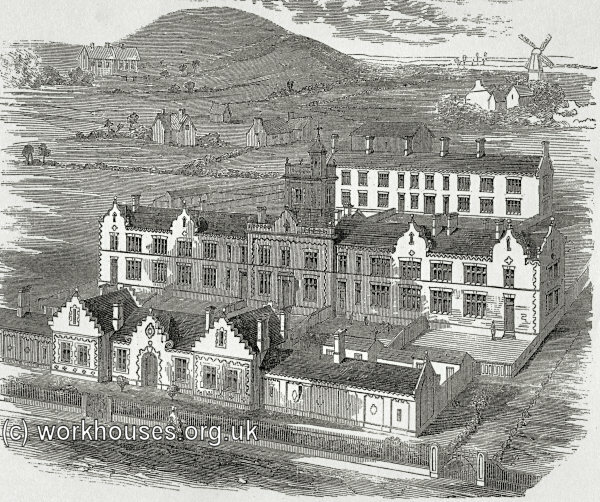 The new union initially continued to use the existing workhouse building at Waterhouse Lane. It was refurbished at a cost of £300 to enable it to accommodate 170 inmates. However, despite redecoration and the purchase of new furniture, it was still described as "an old... straggling, inconvenient building in the centre of the town in a close and bad situation." In 1842, an adjoining "house of correction" or prison was converted to provide vagrants' accommodation. A fever ward was added in 1847. Male inmates worked at stone-breaking while women performed washing, cleaning, cooking and the repair of clothes. The Waterhouse Lane workhouse location and layout is shown on the 1850 map below. Scarborough Waterhouse Lane site, 1850. 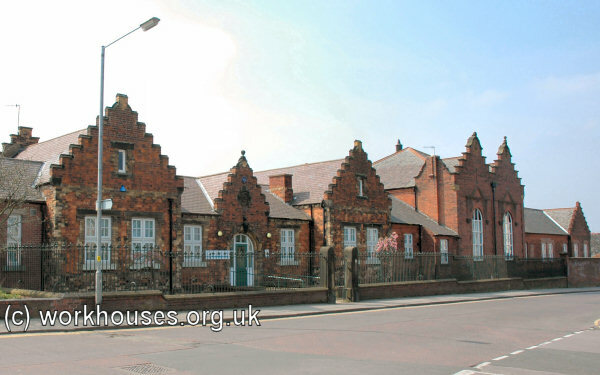 AMONG the improvements lately carried out in Scarborough is a workhouse, which has recently been erected, situated in Deanstreet, leading to the Cemetery. The group of buildings will accommodate from two hundred to three hundred inmates. The front range is for boardroom, offices, &c. ; the entrance gateway forming a pleasing feature, being composed of moulded white bricks with a bold keystone over, which is a large shield with the Scarborough arms carved in high relief. The governor's apartments occupy a central position, and are so arranged that he possesses the fullest command of, and is in the closest approximation with, every ward of the establishment. These apartments are also crowned by a tower which furnishes a very efficient system of ventilation. The infirmary at the back is appropriately on the highest part of the ground (being nearly twenty feet higher than the front), and is thoroughly well lighted and ventilated; and, although the building, as a whole, is free from the expensive ornamental decoration that too often characterises similar establishments, it possesses, from the artistic mixture of brickwork, a most attractive and substantial appearance. The whole of the buildings are well supplied with water and lighted with gas ; and these advantages, coupled with a capital system of drainage, make the sanitary regulations all that could be desired. The works have been erected from designs furnished by Messrs. George and Henry Styan, architects York, under whose direction they have been successfully carried out. An accompanying illustration showed the layout of the site with the entrance block at the front, the central main block, and the infirmary at the rear. The entrance block provided accommodation for new admittants, together with the board-room and other offices. Scarborough workhouse entrance block from the north-east, 2001. 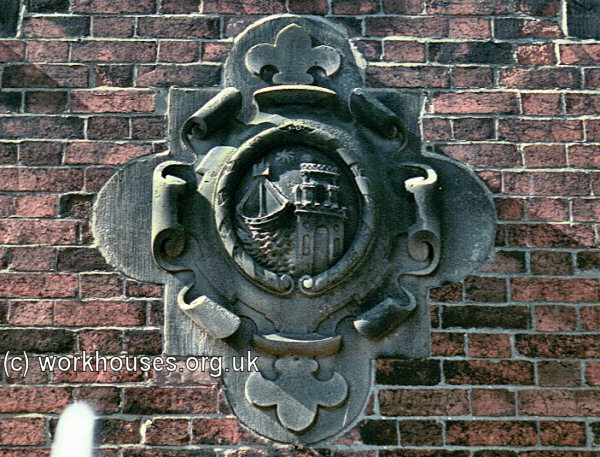 Scarborough workhouse arms above central entrance archway, 2001. The entrance block was extended to the east in about 1897 and a casual ward and stone-breaking cells added. 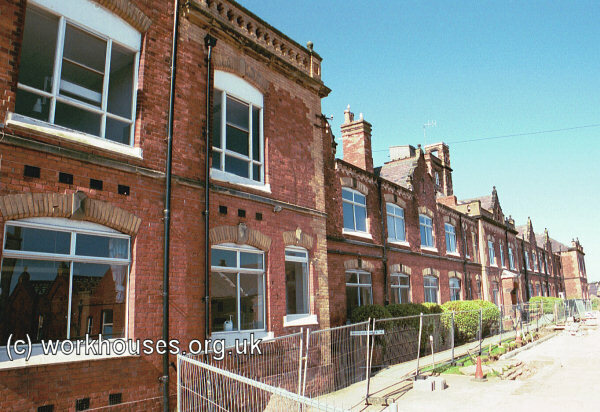 Scarborough workhouse casuals' block from the north-east, 2001. The main block had the Master's quarters at the centre with male and female wings to each side. It was later extended with the addition of cross-wings at each end. 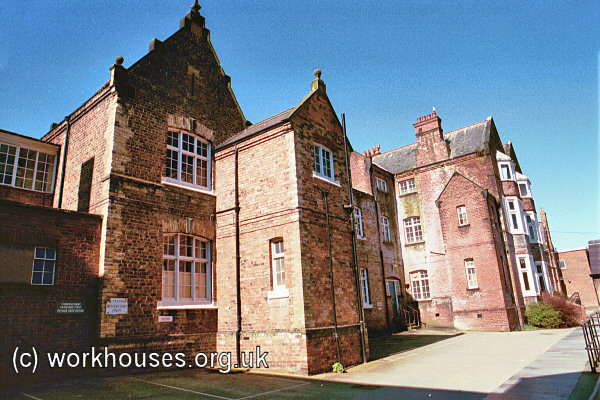 Scarborough workhouse main block from the east, 2001. 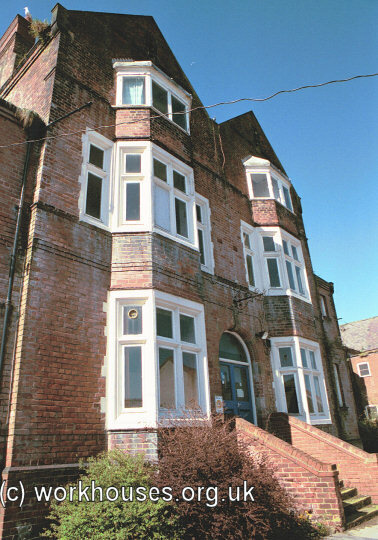 Scarborough workhouse main block entrance, 2001. On December 4th 1859, the aged paupers were transported "by omnibus" from the old premises to the new workhouse. The first master was 27-year-old Richard Harrison. Together with his wife, a house-cook, an infirmary nurse and a porter, he had charge in April 1861 of 92 inmates who included an 87-year-old flour miller from Malton, a 39-year-old Driffield charwoman with three children under five, a Suffield farm labourer aged 77, a Lancashire plasterer and his wife in their early sixties, and an unmarried domestic servant of 26 from Norfolk with week-old twins born in the workhouse. Extensive additions were made in 1897-9 which included extensions to the infirmary, and a new laundry, bake-house and a new board-room. The infirmary lay on higher ground at the south of the site. 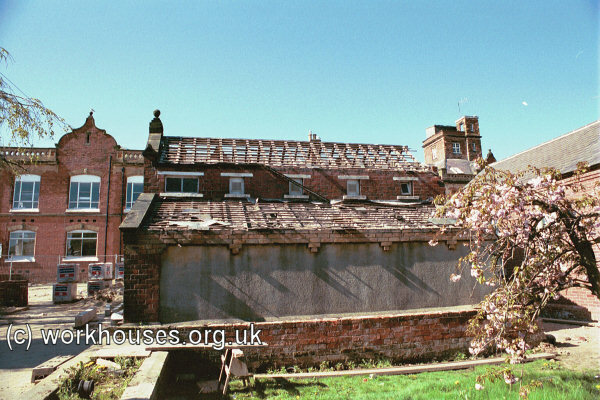 Scarborough workhouse infirmary block from the east, 2001. 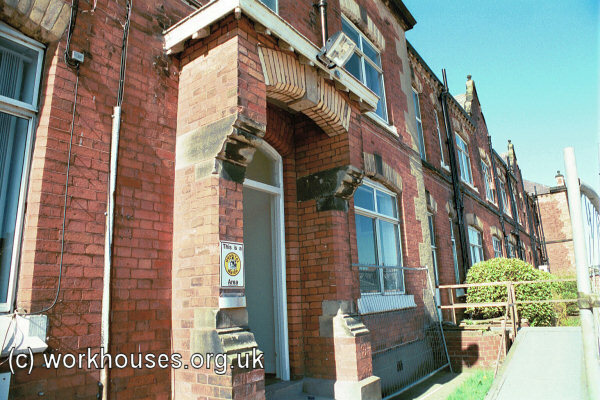 Scarborough workhouse infirmary block entrance, 2001. 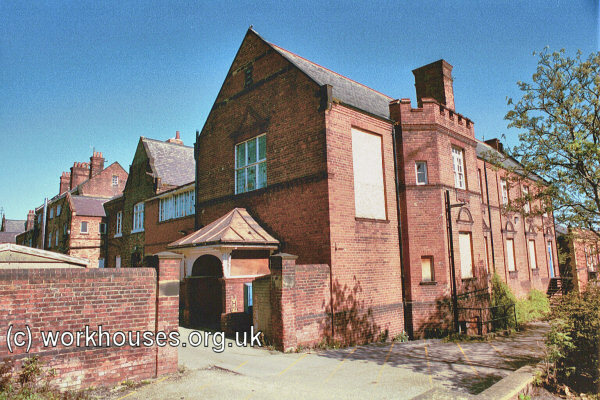 Scarborough workhouse infirmary block from the south-east, 2001. The workhouse subsequently became Scarborough Public Assistance Institution. In 1936, 20 beds were added for mental patients. The vagrants' wards were closed down in 19940. In 1948, the site joined the National Health Service as St Mary's Hospital. The hospital closed in around 2000 and the buildings demolished except for the entrance block. By the early 1920s, the Scarborough Union established a children's home at Snowdrift Cottage, Scarborough, where 19 children could be accommodated. By 1929, the home had moved out of town to two new houses at Whin Bank, Scarborough, where there as room for 32 children. North Yorkshire County Record Office, Malpas Road, Northallerton DL7 8TB. Holdings: Minutes (1837-84); Children's Home committee minutes (1920-30).